A current trend for SIEM vendors is to promote machine learning as the answer to improving analysis and detection accuracy and speed. A SIEM system using machine learning should, theoretically, be able to improve itself over time as it receives and analyzes more data. 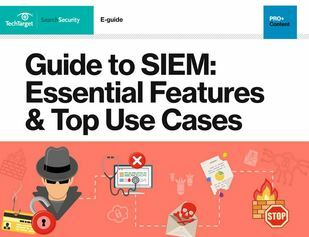 In this guide, Guide to SIEM: Essential Features & Top Use Cases, find out why it is critical to understand SIEM features, and which would be most beneficial to your organization. Please share your expertise today in our security research survey and you’ll receive a free download of our expert guide.